Outside the sun is shining, a bee is buzzing and a cat is chasing something unseen through the grass; in short, summer is here. But every summer is a sign of what is to come next, and so, even though I don't live in the same world as the Starks of Winterfell, winter is coming. In a few months a cold breeze will caress my neck, a leaf will turn to more earthly tones and the weekend music of lawnmowers and hegdeklippers will no longer flow through the neighborhood. 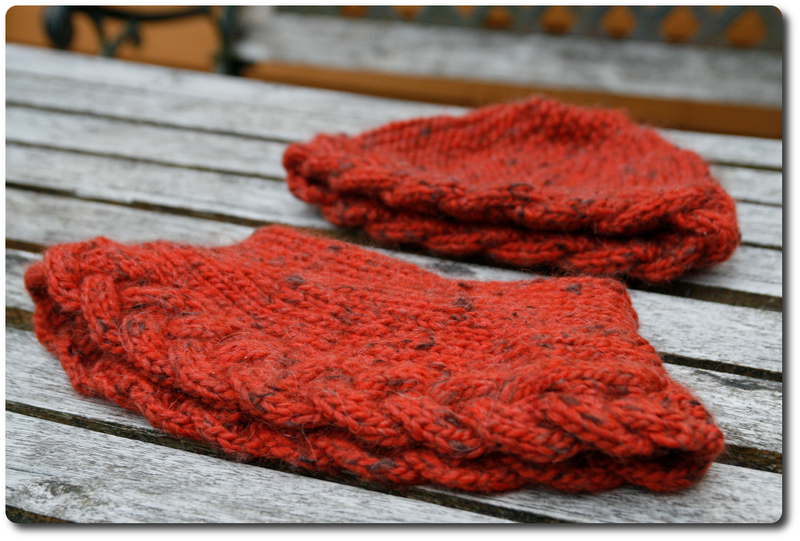 The wify wanted something to warm her head and neck, and I knitted a hat and a cowl. They are knit from this free pattern, with drops eskimo yarn in the shade chili. I used 8 mm needles. 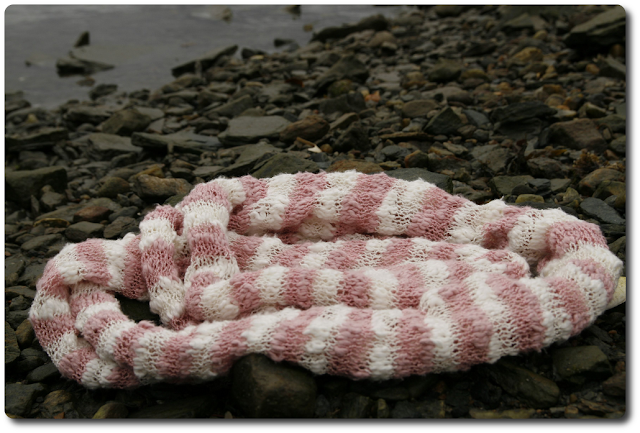 It was a nice project and I liked the pattern, and the yarn. I made a small change to the cowl, and used stocking stitch in stead of garter stitch. I also made this one for her. 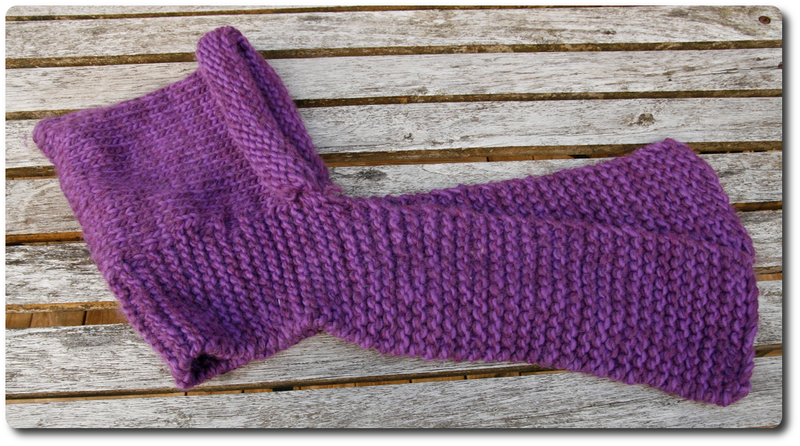 This one is also knit from a free pattern, with the yarn drops eskimo, this time with two threads, one in the color purple, and one in plum. I used 10 mm needles for the hat, and 12 mm for the scarf. It came out well, but if I were to make one more, I would have made the scarf longer. 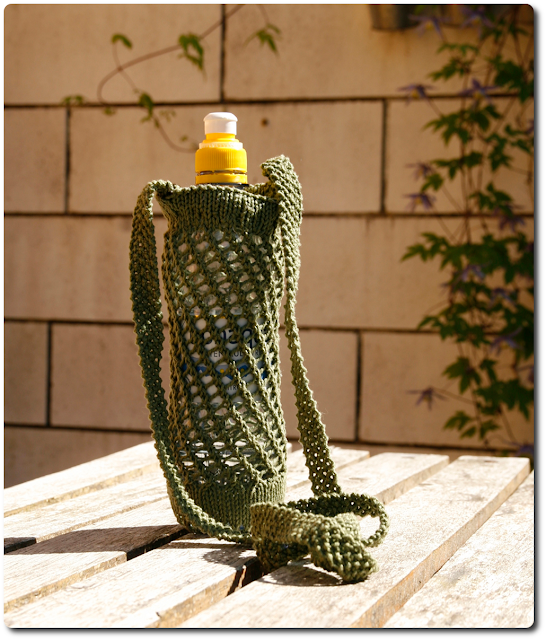 I wanted something to hold my water bottle as I went for walks and found this brilliant pattern on ravelry. I worked the pattern just as written, and it came out very well. It holds a full water bottle without stretching too far and fits people of most sizes, just vary the length of the strap. 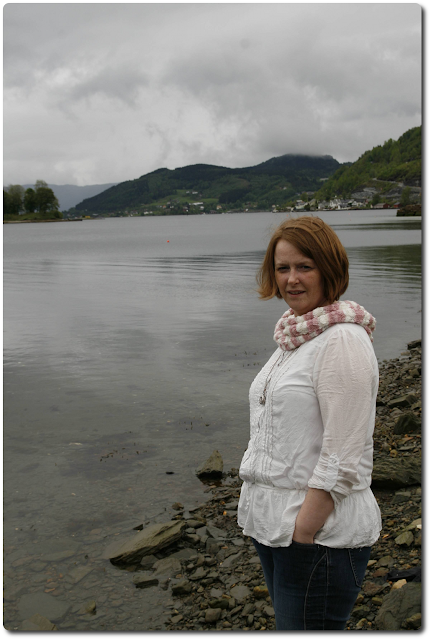 Thursday NRK, a Norwegian broadcasting company, announced that there would be a full evening of slow TV about knitting. According to Wikipedia slow TV is "a term used for a genre of live "marathon" television coverage of an ordinary event in its complete length". NRK has covered ordinary events in this manner before, like in February when they had a focus on firewood which was written about by The New York Times. How much we Norwegians are actually split by firewood issues is debatable, but otherwise the article is accurate, and the pun probably justifies the headline; "Bark Up or Down? Firewood Splits Norwegians". Now, their next slow TV project will be about knitting. The date has yet to be set, but it will be sometime in November. According to project manager, Rune Møklebust, the content is still under development, but he also mentions the thousands of unfinished projects laying around Norwegian homes, that maybe should be addressed. And if you read Norwegian, here is the announcement from NRK. I wanted some reusable lunch bags and found this brilliant pattern on ravelry. I made two just as the pattern is written. One in the smallest size. I also made two with a slight alteration. I did not make the buttonholes on the lid, and in stead I made small holes around the top of the bag, and thread a cord through. It worked quite well. Again I made one small. And here they all are, ready to go. 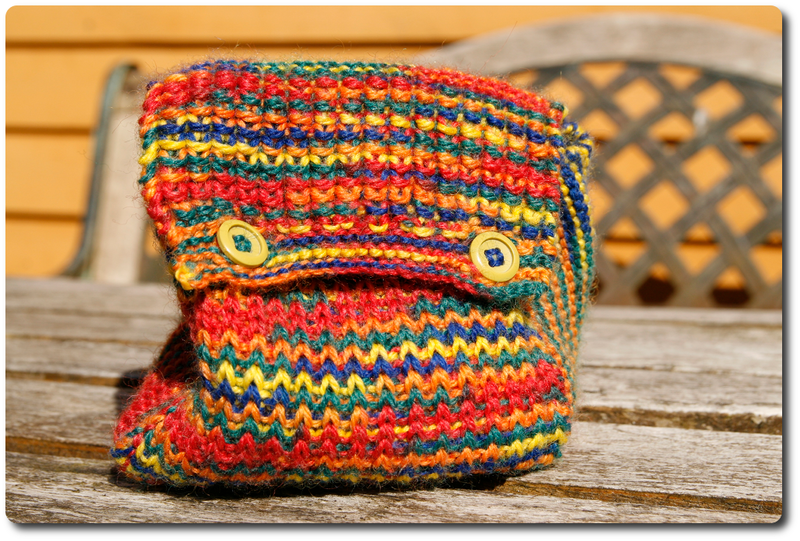 The pattern was a quick knit and a great stash buster. I used some old yarn I had in my stash and the smaller ones took less than half the skein, while the medium ones took a bit less than one skein. In addition these little bags have so many uses. 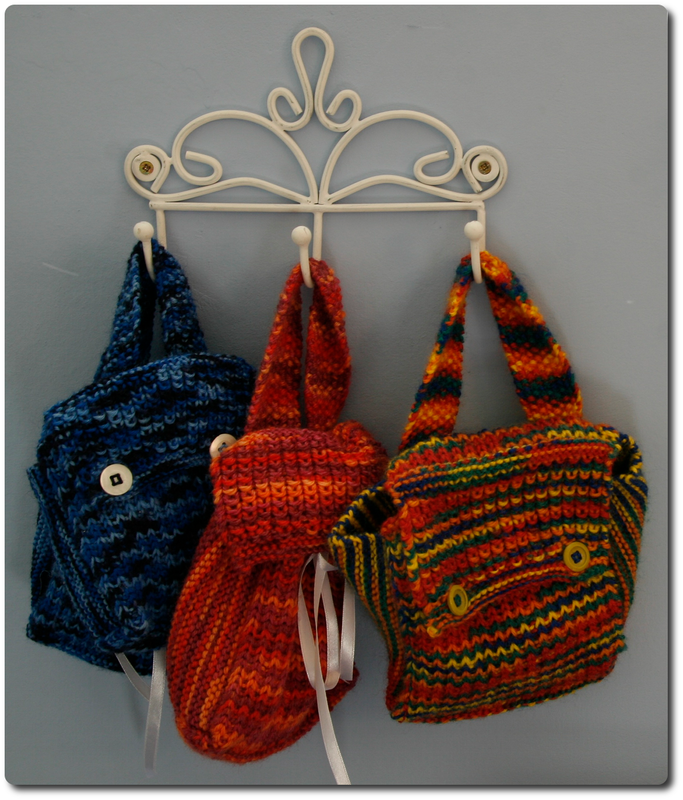 The small one with buttons is, for instance, a practical skein holder, for those who have the tendency to walk and knit. I just love all multipurpose things, it makes me feel so practical and space saving. Ok, so these little things wouldn't take up to much space anyway, but in general, multipurpose is great for space saving. Not to mention environmentally friendly. 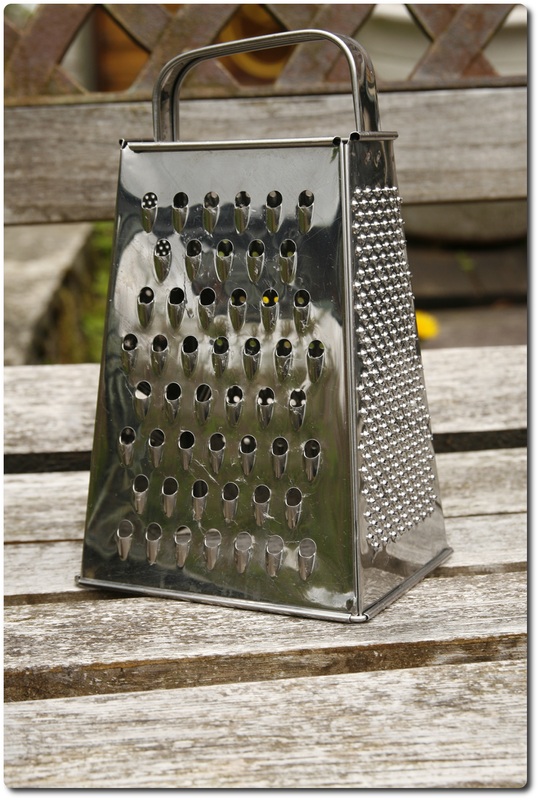 In my language this kitchen utensil is sometimes called a mother-in-law. It is sharp, dangerous and can bite your fingers off, but still it has it's uses. Luckily, my mother-in-law does not bite, and is actually very nice, so I made her this cowl. She wanted a new one in the same size as her old one, so the pattern gave itself. It is knit in a "thick and thin" yarn using stockinette stitch (right side rows knit and wrong side purl). This yarn is discontinued, I think, 'cause I could not find it on the net or on ravelry, but I did find a yarn of about the same yardage and thickness. It is called Lumpy Bumpy Yarn by Charlene and comes in semi-solid and variegated color ways. And it is really beautiful. I made the cowl 30 cm (about 12 inches) wide and 170 cm (about 67 inches) long, but if I made it for myself I would have made it about 20 cm (about 8 inches) shorter. However, give people what they want, and this is the length my mother-in-law wanted. Then I sewed it together to make it a cowl. And that is it. 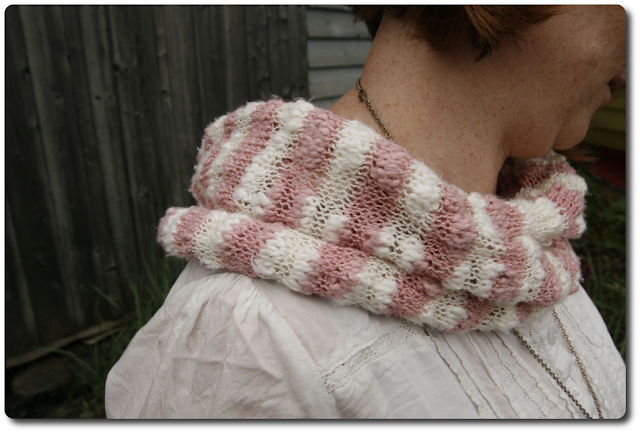 Download the almost cowl patten, if you can somehow use it. 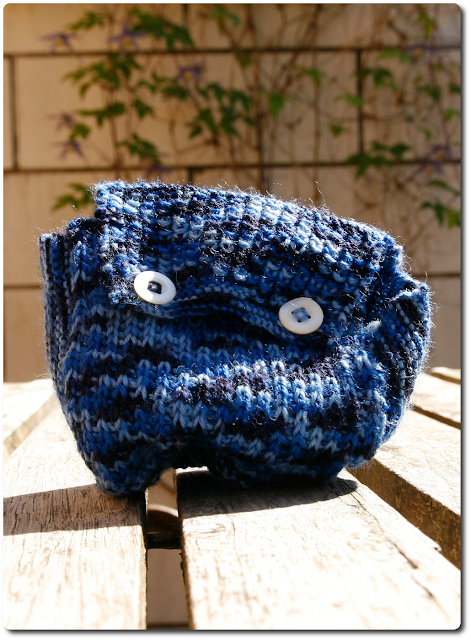 So, I´ve been an avid knitter for thirty odd years, and now it is time for me to start making my own patterns. 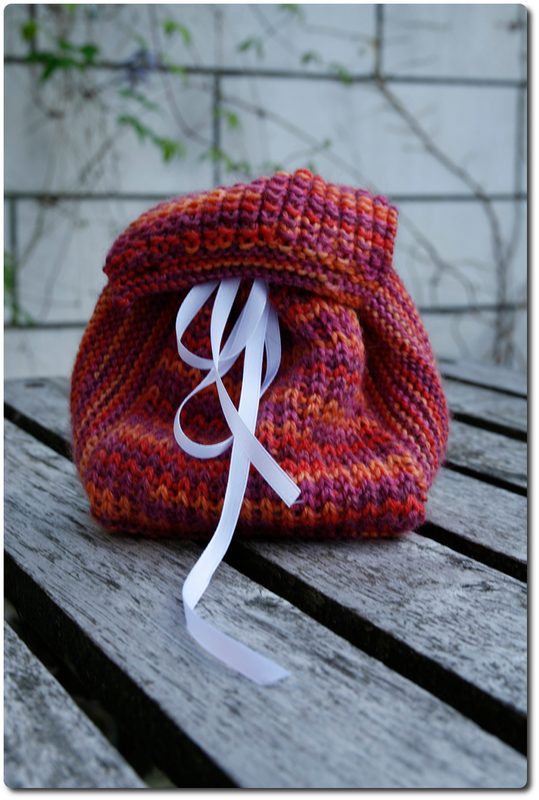 When I want to knit something specific I usually end up finding a pattern that is similar, and alter it to fit my needs. Still that does not help in all cases, and I miss being able to knit what I imagine. And this blog will be about my journey towards making the patterns that I want. 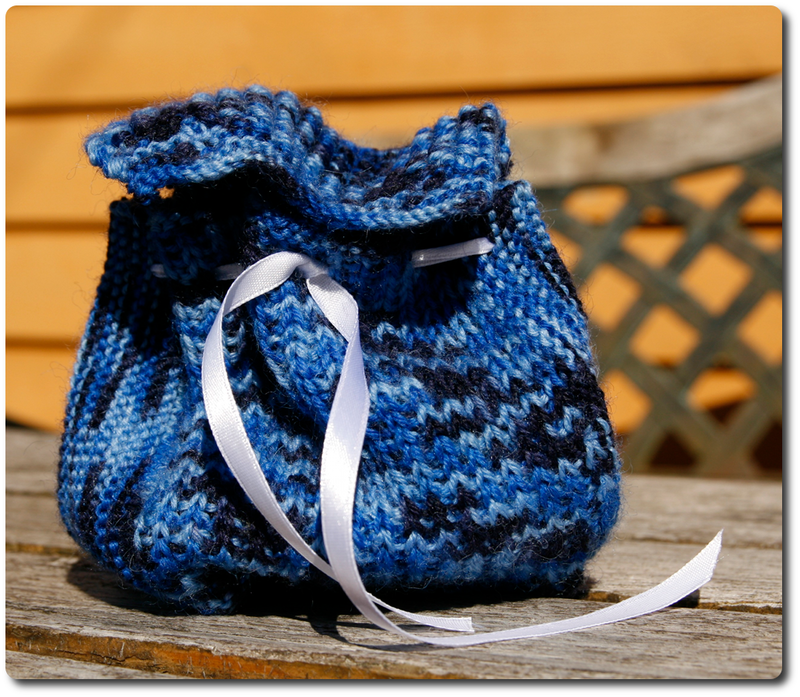 In this blog I will share what I learn, useful links, helpful hints and patterns that I make. As most other nordic knitters I am pretty ok with color work, and over the years I have made countless of those nordic stars. So I started by testing my own color work and think it came out ok. 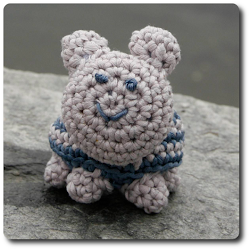 I took this image and uploaded it to knitPro 2.0 and created a knitting chart. knitPro 2.0 is an online chart maker that takes images and creates knitting, crocheting and needlework charts. It is the best one that I've found. Luckily it is also free. Many of the other ones do not take into account that a knitting stitch is taller than it is wide. Then I knitted the chart. And finally I blocked it. 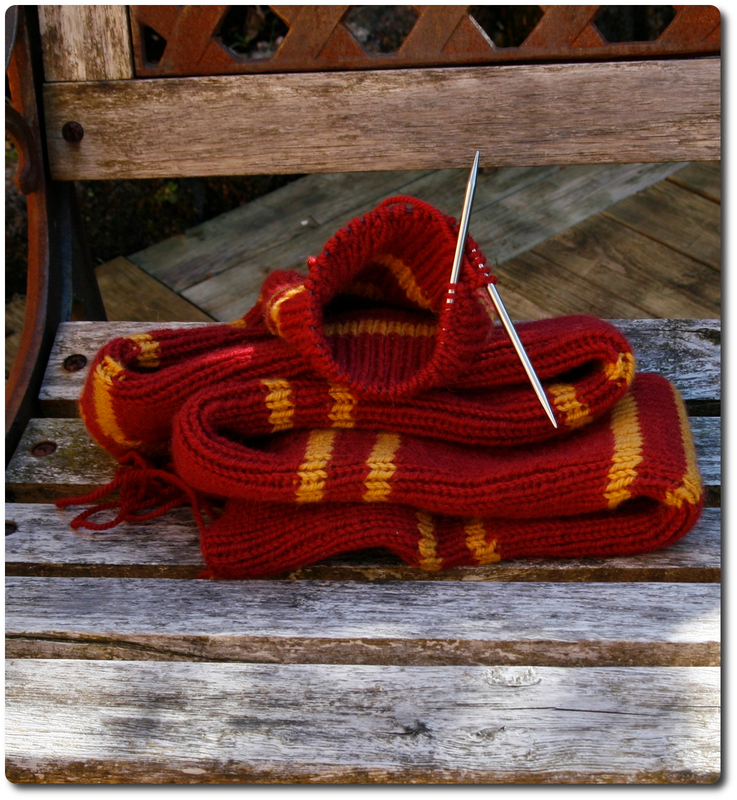 Download the almost knitty nerd chart, if you want for some reason.